Double LP version. Gatefold sleeve. Were David Hanke to pass on from this mortal coil tomorrow, Nevertheless might prove his perfect epitaph. It's a refreshingly honest and autobiographical album that harks back to his early twenty first century musical influences but actually has its route much earlier in this self-styled "Renegade Of Jazz"'s life. The album's appellation refers back to Hanke's first live concert experience when in 1984, at the age of six, he went to see a blues-rock band called Nevertheless whose guitarist was none other than his own father. With music clearly already running through Hanke's DNA, this was the moment that, perhaps subconsciously, triggered his life-long love affair with soulful sonic creativity. Nevertheless sparks into action with the irresistibly uplifting "Lemon Squeezers," a suitably life-affirming opener complete with exhilarating guitars and as the man tells us, "(the) basic characteristic, the beat!" and it's a rock-solid beat at that. 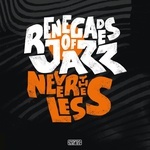 With some Renegades Of Jazz trademark horns added for extra spice, and of course everything programmed by Hanke himself, this is the perfect introduction to his scintillating style. "Big Fish" continues the brass obsession -- it has a more sonorous, almost big band feel, even though it is being delivered solely by one pair of hands and that singular, special musical brain. Hanke adds some nifty piano work for extra cheekiness, a theme continued on "Another Day (Going In Too Deep)," where Hammond-style keys and perfectly chosen vocal samples do battle with more foot-friendly beats, before going deep with Afro-flavored licks and horn riffs. The title track starts life as something of a moment of calm with a more introspective feel, but not for long as it makes way for more trademark beats and vocal loops, and more of those irresistible horns! It's the prelude for a watershed moment on the album as Hanke introduces his first guest in the shape of Bristolian rapper Donnie Numeric (one half of Delegates Of Rhyme) on the scorching "Hot Wired." It's the perfect illustration of our producer's love for the hip-hop art form, and Donnie's smooth lyrical flow combines with those Renegades Of Jazz brass and guitar riffs to make more demands to move one's feet. Were David Hanke to pass on from this mortal coil tomorrow, Nevertheless might prove his perfect epitaph. It's a refreshingly honest and autobiographical album that harks back to his early twenty first century musical influences but actually has its route much earlier in this self-styled "Renegade Of Jazz"'s life. The album's appellation refers back to Hanke's first live concert experience when in 1984, at the age of six, he went to see a blues-rock band called Nevertheless whose guitarist was none other than his own father. With music clearly already running through Hanke's DNA, this was the moment that, perhaps subconsciously, triggered his life-long love affair with soulful sonic creativity. Nevertheless sparks into action with the irresistibly uplifting "Lemon Squeezers," a suitably life-affirming opener complete with exhilarating guitars and as the man tells us, "(the) basic characteristic, the beat!" and it's a rock-solid beat at that. With some Renegades Of Jazz trademark horns added for extra spice, and of course everything programmed by Hanke himself, this is the perfect introduction to his scintillating style. "Big Fish" continues the brass obsession -- it has a more sonorous, almost big band feel, even though it is being delivered solely by one pair of hands and that singular, special musical brain. Hanke adds some nifty piano work for extra cheekiness, a theme continued on "Another Day (Going In Too Deep)," where Hammond-style keys and perfectly chosen vocal samples do battle with more foot-friendly beats, before going deep with Afro-flavored licks and horn riffs. The title track starts life as something of a moment of calm with a more introspective feel, but not for long as it makes way for more trademark beats and vocal loops, and more of those irresistible horns! It's the prelude for a watershed moment on the album as Hanke introduces his first guest in the shape of Bristolian rapper Donnie Numeric (one half of Delegates Of Rhyme) on the scorching "Hot Wired." It's the perfect illustration of our producer's love for the hip-hop art form, and Donnie's smooth lyrical flow combines with those Renegades Of Jazz brass and guitar riffs to make more demands to move one's feet. CD version in digipak. 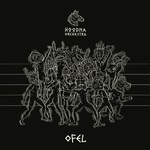 The Hoodna Orchestra is a 12-member orchestra who studies and investigates the African origins of western popular music; Ofel is their second album. The Orchestra was formed in 2012, in the south side of Tel Aviv, by a group of musicians, and it functions as a collective and a record label. Hoodna's musical director is the guitarist and composer Ilan Smilan. The cultural and musical environment that surrounds the group has a great effect on its creative process. Exposure to Ethiopian, Eritrean and Arabic musical traditions, coupled with an ongoing study and exploration of different jazz styles, creates a unique blend which has made The Hoodna Orchestra one of the most appreciated and sought-after live shows in Israel. Personnel: Elad Gelert - baritone saxophone; Rom Shani - alto saxophone; Eylon Tushiner - tenor saxophone; Uri Selinger - trombone; Asaf Oseasohn - trumpet; Sefi Zisling - trumpet; Arthur Krasnobaev - trumpet; Tomer Zuk - keyboards; Amir Sadot - bass guitar; Ilan Smilan - electric guitar; Matan Asayag - drums; Rani Birenbaum - percussion; Shahar Ber - percussion; Raz Eytan - percussion. Mattimatti is two Mattis living in different countries -- Sweden (Malmö) and Germany (Berlin). They travel around the world playing music whilst asking themselves, "who are we?". The answer seems to change just as their surroundings do, but the music stays with them and so does their friendship. It is cliché that it's hard to put a label on music; to say it has almost become a cliché itself. But the whole meaning of music is to listen to it and create one's own world. To create one's own world one needs space, space that is not interrupted by either style or defining categories. Mattimatti is an attempt to step into that space, creating music built solely on improvisation. 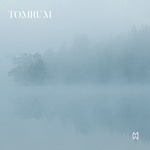 Tomrum is an invitation to places not yet known, where rhythmic, suggestive and meditative soundscapes meet the present moment. As friends and musicians Mattimatti welcome the unexpected, living in a world full of confusion when it comes to identity. They are trying to stay connected; it is a constant task. They met on the streets of Berlin in spring 2013 while playing on the streets. After they played for the first time together, there was no question that they could travel a musical journey together from that day. Mattimatti was initiated; on their quest they began playing improvised tunes on sitar and hanging on the street while traveling through Sweden and Germany. This lead them to be invited to numerous festivals all over Europe while constantly developing their music and sound. Since then their set has added new instruments such as a drum kit, African harps, sitar, guitar, harmonica, clarinet, and vocals, extending the sound with a space echo. The long, intimate tunes that created here have an original structure and sound. There is a certain present resting in the music which is hard to describe but easy to experience. Their live concerts have been dubbed mythical, hypnotic, magic and epic -- traveling is the biggest influence on their music. Mattimatti are now both based in Berlin and Malmo and work together with the contemporary circus, dance, and music group Kollektiv Knaster. LP version. Mattimatti is two Mattis living in different countries -- Sweden (Malmö) and Germany (Berlin). They travel around the world playing music whilst asking themselves, "who are we?". The answer seems to change just as their surroundings do, but the music stays with them and so does their friendship. It is cliché that it's hard to put a label on music; to say it has almost become a cliché itself. But the whole meaning of music is to listen to it and create one's own world. To create one's own world one needs space, space that is not interrupted by either style or defining categories. Mattimatti is an attempt to step into that space, creating music built solely on improvisation. Tomrum is an invitation to places not yet known, where rhythmic, suggestive and meditative soundscapes meet the present moment. As friends and musicians Mattimatti welcome the unexpected, living in a world full of confusion when it comes to identity. They are trying to stay connected; it is a constant task. They met on the streets of Berlin in spring 2013 while playing on the streets. After they played for the first time together, there was no question that they could travel a musical journey together from that day. Mattimatti was initiated; on their quest they began playing improvised tunes on sitar and hanging on the street while traveling through Sweden and Germany. This lead them to be invited to numerous festivals all over Europe while constantly developing their music and sound. Since then their set has added new instruments such as a drum kit, African harps, sitar, guitar, harmonica, clarinet, and vocals, extending the sound with a space echo. The long, intimate tunes that created here have an original structure and sound. There is a certain present resting in the music which is hard to describe but easy to experience. Their live concerts have been dubbed mythical, hypnotic, magic and epic -- traveling is the biggest influence on their music. Mattimatti are now both based in Berlin and Malmo and work together with the contemporary circus, dance, and music group Kollektiv Knaster. Brazil, Portugal, and Cape Verde resound in the beguiling songs of this acoustic trio. Latin American and African tinged rhythms, connected by the Portuguese language. 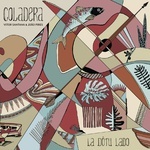 La Dôtu Lado is the second album of the transatlantic project Coladera, presenting the various styles of lusophone music. Led by Brazilian guitarist Vitor Santana and João Pires, his Portuguese counterpart, who also sings and plays guitar. The album brought together a number of collaborations that included José Eduardo Agualusa, Aline Frazão, Dino Santiago, Bilan, Ana Sofia Paiva, Edu Mundo, Brisa Marques, and Marcos Suzano: three musical universes that honor the lusophone rhythms. Brazil, Portugal, and Cape Verde merge into a dialogue of guitars, percussions, and voices, bringing together the rhythms of samba and the northeast region of Brazil, the funaná, the morna, the coladera and the batuque of Cape Verde, the Portuguese fado or the Angolan lundum. Coladera was named after the rhythm born of the Morna, the traditional Cape Verdean music, which in turn is derived from Portuguese fado and Angolan lundum. This unique musical universe is interpreted in a raw, beguiling way by Coladera. LP version. Brazil, Portugal, and Cape Verde resound in the beguiling songs of this acoustic trio. 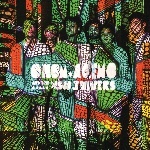 Latin American and African tinged rhythms, connected by the Portuguese language. La Dôtu Lado is the second album of the transatlantic project Coladera, presenting the various styles of lusophone music. Led by Brazilian guitarist Vitor Santana and João Pires, his Portuguese counterpart, who also sings and plays guitar. The album brought together a number of collaborations that included José Eduardo Agualusa, Aline Frazão, Dino Santiago, Bilan, Ana Sofia Paiva, Edu Mundo, Brisa Marques, and Marcos Suzano: three musical universes that honor the lusophone rhythms. Brazil, Portugal, and Cape Verde merge into a dialogue of guitars, percussions, and voices, bringing together the rhythms of samba and the northeast region of Brazil, the funaná, the morna, the coladera and the batuque of Cape Verde, the Portuguese fado or the Angolan lundum. Coladera was named after the rhythm born of the Morna, the traditional Cape Verdean music, which in turn is derived from Portuguese fado and Angolan lundum. This unique musical universe is interpreted in a raw, beguiling way by Coladera. LP version. 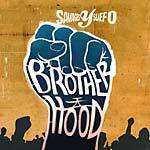 After the release of their debut album Worldstyle (2012) the Budapest duo Savages Y Suefo are now returning with their second album Brotherhood; this time their message is more serious. The music summons blues elements but is also influenced by dub, funk and a little hip-hop while the lyrics are mainly about the social and personal problems of our time interpreted by talented guest vocalists from all over the world. The guest performance of KRSA puts the point on the letter "i" in "Brotherhood" and in the other reggae-inspired song "Pass It On". 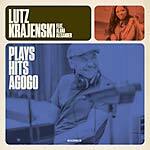 Being one of the dominant figures of the Hungarian ska movement he is an important guest on the album. As the main driving force behind Freak Power, Ashley Slater needs no introduction. He has worked with Dub Pistols, Dublex Inc, and Fort Knox Five, and his talents and professional performances turbocharged three songs. 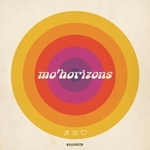 Denise M'Baye, the MC/singer of Mo'Horizons is featured in two down-tempo tracks. "Wings" is a laidback song about love while and "All My Life Is In This Bag" smuggles back a little bit of the mood of Worldstyle. Fedora is the best-known female MC/singer of the Hungarian bass music life. With "Come Away With Me" she proves that she's not only an bass music MC, but a great singer with deep emotions. Another guest from Hungary is the lead singer of the down-tempo funk band Mystical Plants. Bryant Goodman contributes to the album in two different tracks with his gravelly voice. "Bad Man's Ballad" is a bittersweet song about the average politician of our age while "Keep Going On" on the other hand is full of playfulness and delivers a short but positive message. Last but not least is the Ghanaian M3NSA on the board from Fokn Bois and RedRed. His lyrics in "It Works" are very motivating for everyone and spread the message of not giving up even if the world is seemingly against you. Savages Y Suefo's new album Brotherhood is a lot different from their previous one in many ways but it remained just as eclectic as its predecessor Worldstyle and still proves Savages Y Suefo's wide interest and openness in music that is needed today. Is this still pop music? The new album by the Finnish multi-instrumentalist Linear John presents popular music in a new light. 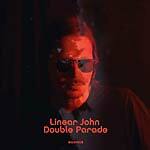 With Double Parade, Markus Holkko, aka Linear John, seamlessly ties in on his first album. The pop-jazz potpourri is mysteriously undefinable; a characterization of all relaxed moody situations one can only imagine. Is this still pop? Yes, because the album is absolutely suitable for the masses -- or maybe not, because it can't be put in a specific box. Sometimes it sounds just like John Coltrane, sometimes just like Kraftwerk. While one is still feeling the Latin-vibes à la Antônio Carlos Jobim, the next track surprises with a horn solo in the style of Richard Wagner. But despite this diversity, it is not an arbitrary sequence of tributes: the Finn understands how to create his songs harmoniously and melodically so forcefully that you inevitably start to feel the groove. Whenever the listener threatens to lean back into a state of in- attention, they are reactivated by new, surprising harmonic or rhythmic changes. The clever arrangements, all written by Linear John himself, offer a coherent listening experience and yet are unpredictable and somehow refreshingly different. Double Parade can't be squeezed into a corset. Clear stylistic classification, proven musical means, and established structures are skillfully expanded here, while the music is equally fascinating to experts and laymen. This is precisely why the record, a refreshing road trip through the colorful landscape of existing jazz and pop flows, is a welcome contrast to the always equal format music. LP version. Is this still pop music? The new album by the Finnish multi-instrumentalist Linear John presents popular music in a new light. With Double Parade, Markus Holkko, aka Linear John, seamlessly ties in on his first album. The pop-jazz potpourri is mysteriously undefinable; a characterization of all relaxed moody situations one can only imagine. Is this still pop? Yes, because the album is absolutely suitable for the masses -- or maybe not, because it can't be put in a specific box. Sometimes it sounds just like John Coltrane, sometimes just like Kraftwerk. While one is still feeling the Latin-vibes à la Antônio Carlos Jobim, the next track surprises with a horn solo in the style of Richard Wagner. But despite this diversity, it is not an arbitrary sequence of tributes: the Finn understands how to create his songs harmoniously and melodically so forcefully that you inevitably start to feel the groove. Whenever the listener threatens to lean back into a state of in- attention, they are reactivated by new, surprising harmonic or rhythmic changes. The clever arrangements, all written by Linear John himself, offer a coherent listening experience and yet are unpredictable and somehow refreshingly different. Double Parade can't be squeezed into a corset. Clear stylistic classification, proven musical means, and established structures are skillfully expanded here, while the music is equally fascinating to experts and laymen. This is precisely why the record, a refreshing road trip through the colorful landscape of existing jazz and pop flows, is a welcome contrast to the always equal format music. LP version. 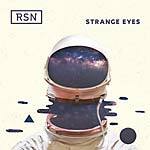 RSN, producer, DJ, and musician from Athens, Greece, delivers Strange Eyes, his fourth album and his debut on Agogo Records. 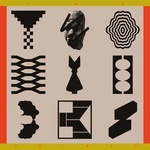 The album includes 13 songs influenced by electronica and trip-hop sounds. Hip hop beats with fat bass-lines in addition to effected melodic guitar, Hammond, and atmospheric analog synths create an ideal soundtrack for the album Strange Eyes. RSN collaborated with exceptional vocalists and musicians under his executive production. From 2009 until now, he participates as a DJ in the well-known British band Belleruche, a world-class band in the turntable soul scene with many concerts in Greece and abroad (Serbia, Turkey, Russia, Switzerland, France, England, Ukraine, etc.) All these years he has appeared in major festivals all over the world next to great names, such as The Wailers, Charles Bradley, Kid Loco, Zaz, Waldeck, amongst others, while he has opened the live shows of top artists, including Alpha Blondy, Wax Tailor, DJ Krush, Parov Stellar, and others. Features Thaliah, Polina Leshnevskaia, Kid Moxie, Kathrin DeBoer, and MC Yinka.